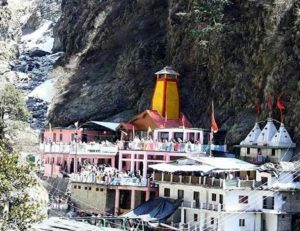 Char Dham (Four Abodes) is a colloquial origin of four religiously-sanctified pilgrim-hubs known en masse as - Gangotri, Yamunotri, Kedarnath and Badrinath – which find their spiritual devotions among Vaishnavite Hindus for the attainment of salvation or Moksha. This further explains as to increasing significance and value of char dham tours for pilgrims, a claim endorsed by the proponent of Advaita Vedanta, Shri Adi Shankaracharya, who philosophizedChar Dhamas the constituent of four pilgrimage sites for Vaishnavite Hindus. Princely located in the heart of Uttarakhand and known as the consecrated gateway to spiritual redemption, the Char Dham of Himalayas/Uttarakhand is the heavenly portrayal of sanctum sanctorum for the people to attain divine blessings,happiness, peace, and incessant prosperity in their lives. With availability of vehicular services dedicated to simplifying the hassles for traveling to chota char dham for prospective pilgrims; it is no wonder that traveling to these holy places is no longer a question of trouble, hassle and difficulty with our car/taxi rental services. Hire car rentals or chardham taxi services under professionally-managed chardham tour packages which gives you the winsome experience of traveling to holy places of Gangotri, Yamunotri, Kedarnath and Badrinath under the budget set in accordance with your expectations and needs. 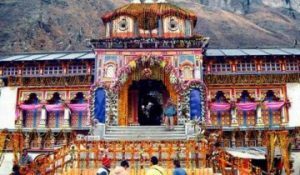 Chardham taxi services or char dham car rentals services serve the prime purpose, and that is to help you accomplish your spiritual journey to char dham destinations while taking best care of your comfort and convenience, with our top of the line and highly dependable vehicular services equipped with affordable chardham tour packages. Our fleet of cars/taxis and accoutrement of highly functional vehicular management efficiently undertaken by our skilled drivers are readily available to transpire your pilgrimage from your pick-up spot to the designated destination of char dham holy place. Best thing of our rental services is that we have in our fleet the latest models of cars both in air-conditioned and non-air conditioned options that can easily accommodate to your travel requirements at a very reasonable price. We reiterate and vouch for excellence and standard with which we manage and cater to traveling requirements of char dham pilgrims using our experienced and trained staff operating taxies, cars and coaches with flawless expertise. 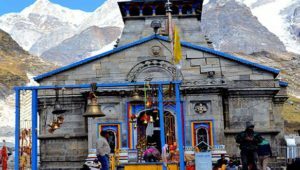 Besides, our guides and drivers are armed with sufficient knowledge of the alpine routes of the great Himalayan and so can contribute their best to fructify your journey of char dham destinations with unforgettable experience. Our mission-bond staff is liable to provide you safe and comfortable char dham tours. Still in doubt? Be in touch and let us serve you once. We assure you that our skill, professionalism and integrity would satisfy your char dham traveling needs.